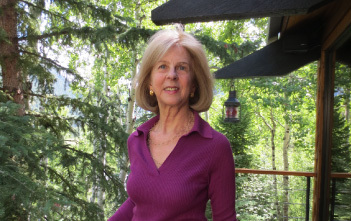 Elaine Pagels joined the Princeton faculty in 1982, shortly after receiving a MacArthur Fellowship. Perhaps best known as the author of The Gnostic Gospels, The Origin of Satan, and Adam, Eve and the Serpent, she has published widely on Gnosticism and early Christianity, and continues to pursue research interests in late antiquity. Her most recent books include Beyond Belief: The Secret Gospel of Thomas (was on the New York Times best-seller list) and Revelations: Visions, Prophecy, and Politics in the Book of Revelation (2012). Her current project is working on new research and completing another book.